Do not worry about making your window panes bear a sparkling look. Fast Cleaners Newham is prepared with the latest technology oriented cleaning machinery and skilled cleaners to ensure the best of every cleaning service. Our professionally trained cleaners provide cleaning services to both residential complexes and commercial buildings as well. Fast Cleaners Newham utilises best of cleaning materials which are anti-corrosive and eco-friendly, ensuring a sparkling smear free window which stays clean for a long duration. It is obvious that a cleaner window adds to a better shine to your house as a whole and can add to the beauty of your house or workplace. 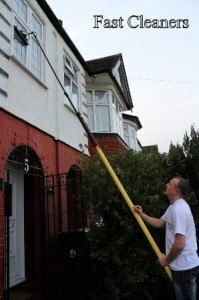 Book our window cleaners today and contact 020 3322 7006. We do have a free cleaning quote that you can avail upon calling. Dial our number and call us now!